Investment Opportunity! Currently Tenanted Townhouse At An Affordable Price! Some Updates Include New Gas Fireplace '16, Updated Wiring '16 & Panel, Laminate Flooring In Living/Dining & Kitchen. 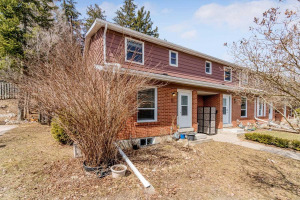 Walkout From Living Room To Private Backyard With Deck & No Neighbours Behind. 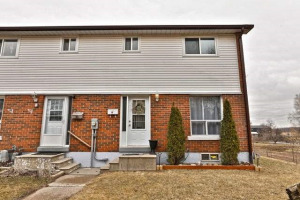 Upper Level Features 3 Bedrooms All Of Good Size & Updated Bathroom. Basement Is Partially Finished. Include All Appliances, All Electrical Light Fixtures. Please Exclude 2nd Level Window Coverings & Window Ac Unit. Hot Water Heater Is A Rental.